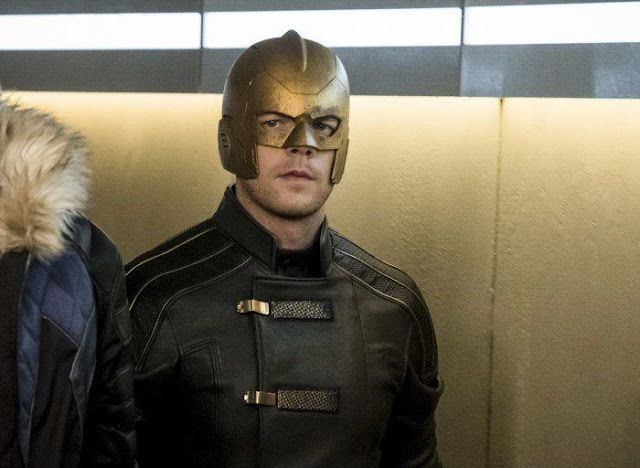 Russell Tovey is set to play gay superhero The Ray in a four-part crossover within the CW’s Arrow-verse next week [starting on Monday, Nov. 27], and the network has now released photos of the Looking star’s time on set. The “Crisis On Earth X” crossover episode will find the superheroes fighting Nazis in an alternate universe in which Hitler won WWII. 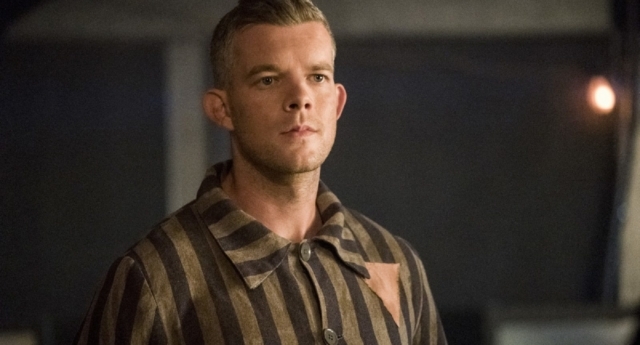 Tovey’s character, Raymond Terrill, appears to be a Holocaust victim in the series, appearing in a prison uniform that features the upside-down pink triangle that Nazis used to brand and persecute gay people. See the NewNextNow full story here. Tovey will also be voicing The Ray in his own standalone animated series, called Freedom Fighters: The Ray, which will premiere online on The CW Seed and is executive produced by Arrow’s openly gay co-creator Greg Berlanti. The Ray is certainly not the first gay character to appear on DC’s TV shows, as he joins Sara Lance on Legend Of Tomorrow, Alex Danvers on Supergirl, and Central City PD Captain David Singh on The Flash. Check out a trailer for Crisis On Earth-X below and see full story from Gaytimes here.